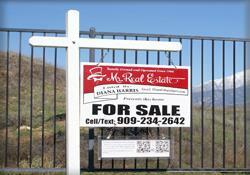 Why List with Mr. Real Estate - The Harris Group? What Sets Us Apart? When you choose "The Harris Group" Real Estate Team to market and sell your home, you are winning not just a team of skilled real estate agents and capable administrative staff, you are hiring caring people who want you to have a positive, valuable experience selling your home. Consider what a great team can do for you to help you sell your home. We offer excellent customer service, professional marketing, and an incredible network. We are Internet Marketing Professionals with years of experience. We have a very strong Web Presence, with 3 websites, Facebook, Google+, You Tube, Pinterest, LinkedIn social media sites and multiple blogs. We have one professional syndicated real estate website that promotes your property across the entire internet which reaches the entire planet. We also have 3 other real estate websites that promotes your listing. We will create a custom aerial video of your home and the entire property that highlights the most attractive features inside and outside your home. To view sample of our custom aerial videos of our listings and new developments, please visit our You Tube Channel. To view our featured custom aerial video click here. Our Reputation is Very Important to Us! To see our reviews, please click here to see our google reviews, and click here to see our reviews on Yelp. 1. We are not a traditional real estate team. We are your local neighborhood specialist! 2. Our team approach is designed to use our combined knowledge, experience and skills to provide the expertise and service our clients deserve. 3. Everyone on the team does what they say they will do! We are only as good as our word! 4. We have fabulous websites. Our syndicated website will blast your listing out to over 80 popular sites. Visit our listings website at www.RealEstateListings.com for a quick overview of our current listings. 5. A licensed Real Estate agent is always available to help you. When one of us is out listing other homes, your concerns can still be addressed. 6. We answer our phones! You can reach us anytime by text, phone or email. 7. You’ll never be passed off to an assistant. We are all licensed professionals! 8. We take a custom video of your home, post it on www.MrRealEstateListings.com site and our www.MrRealEstate-Inc.com website, which is syndicated to over 80 different popular real estate websites. Next, we upload your video to You Tube and post it on our websites and social media sites. How is that for exposure! 9. We can handle it! That’s our policy! 10. Pipes break! Concerned about a showing? Want to write an offer at 7:00 PM? We are available to help! 11. 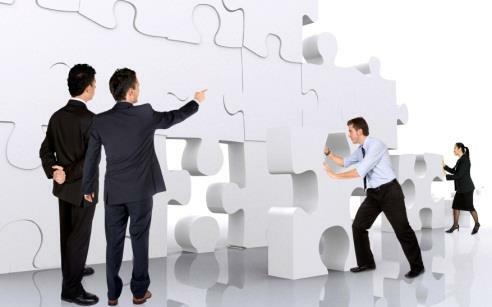 When you call us know that we are a team of capable professionals and will find the answers for you! 12. Something comes up after the close of Escrow? Please call us. We are here to help you for a lifetime. 13. This is a big one: In a traditional Real Estate office all agents are competing with each other. If one agent makes a sale or gets a listing, the other agents are not paid. Not our office! We all share in transaction. Hence, a more cohesive team spirit and higher level of service. 14. 20% of our Home Buyers come from our sign, rider and flyer calls. Only a small 1% buys the exact house they called about. At our company we have over 20 signs and riders posted in the area. The more signs, the more Buyers that call in that we can show your home! 15. We have no secrets at Mr. Real Estate. We all use computers and have access to the same information; all your questions can be answered by anyone in our office. 16. We are a very pro active and aggressive company that produces results! We work to net you the highest possible price (or the lowest price if you are the buyer). 17. Our office is always on top of the latest market statistics. Check out the Market Update page on our website. 18. We are a highly innovative team. Look for us to use the latest proven methods in our practice. 19. We have a trusted mortgage company associated with our company. 20. We have documented proven systems that sell homes. We don’t need to guess at what works. 21. We do occasionally make a mistake. When we do, we take responsibility for our actions and fix it. 22. If something does go wrong we amend our systems so that it doesn’t happen again. Client Service is a reflection of our superior systems and caring attitudes. 23. We answer emails, texts and answer the phone but if we don’t - we return all calls within 24 hours. 24. We know what works and will be honest with you about what is best for you. 25. We are results oriented sales people. We only get paid when we help you achieve your goals. 26. We are never content. We are always striving to be better. 27. We believe education is one of the main key’s to our knowledge and success. We are required to continually educate ourselves and grow! 28. Here we all work for you! When you succeed, we succeed! 29. We are a service company! We do not discount our fees, our service to you, or the price of your home! 30. Each person is treated special no matter what the price range of your property. We value people, not prices! 31. We believe in a supportive environment for growth and change, no out dated traditions here. 32. We love our work! 33. People can feel that we care, because we do! 34. Clients are not just a number. We have a knowledgeable staff that could personally service each client. 35. We do the little things right! Every detail of the transaction is handled. It’s the little touches that make a difference. 36. We teach each other! No keeping secrets of success here! 37. Our team members deliver much more than is expected of us! We are here to exceed your expectations! 38. We are very aware that we work for you. We have an agreement with you to protect you and get the best deal possible. Other agents may not like this - but our clients do! 39. We want to be your Real Estate resource and information center. We are here to help you with anything and everything. 40. We have a dynamic atmosphere; we are energized and committed! 41. Every call is treated with a “Yes I can help you” attitude. 42. We want every client to be our customer for life! 43. 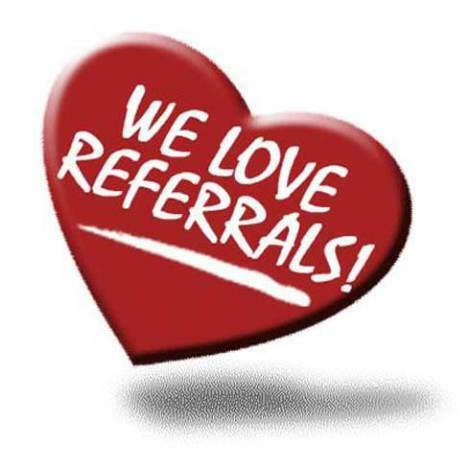 YOU are our business; our business depends on your referrals. 44. We stay in touch with our clients. We contact all of our active clients a minimum of once a week. 45. We work hard to make our listings show the best. We strive to have one of our Buyers choose one of our listings. 46. We are a fun, positive, intelligent and efficient group! We are proud to work for YOU! 47. We are a team of Real Estate professionals- no assistants! 49. We are dedicated and highly committed to effectively serving our clients! 50. We are available 7 days a week. Why List Your Home with Diana and Randy?